Malaysia is a fairly big country. There are 13 states and 3 federal territories. Most of the states are located in West Malaysia, plus there are two federal territories: Putrajaya and Kuala Lumpur. On Borneo, there are two states and one federal territory – Labuan. In this country, Chinese, Malay and Indian cultures are closely connected. Moreover, the colonization of the Portuguese, the Danish and the British peoples added additional contribution to this mix. 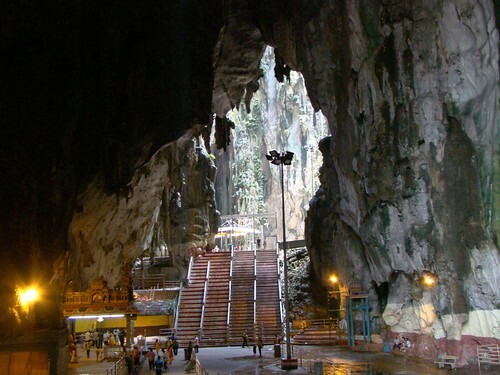 Therefore, such a combination of cultures, cuisines and traditions, makes Malaysia even more vivid and diverse. With the help of car rental in Johor Bahru Airport, you are able to make sure of it personally with maximal comfort. In Malaysia you can see developed cosmopolitan cities with huge skyscrapers, luxury cars, expensive clubs and boutiques. At the same time, there are many exotic villages with various tribes, where people live without changing their traditions for hundreds of years. You can visit real jungles and wildlife parks, islands with paradise landscapes of the cities with a colonial history. When traveling in Malaysia, you sink into several cultures at once. Here you can find sumptuous mosques, colorful Hindu temples, the Catholic churches, and even the Chinese temples. In this country, most people speak English, there are many free museums and the infrastructure is developed. People in Malaysia are some of the friendliest and most responsive you have ever met. Here they smile on the streets, greet strangers and try to help in every possible way. When you meet such sincerity, traveling around the country becomes even more pleasant and easier. In Malaysia, you can try the cuisine for every taste: Chinese, Malay, Indian, European and Thai. Nevertheless, the combination of a diverse nature (jungles, mountains, beaches and large cities), requires special precautions for the tourists. Before going to Malaysia, you must get vaccinations against the following serious diseases: tetanus and poliomyelitis, hepatitis A (which is carried through food and water) and typhus. When planning a visit to the jungle and the countryside, it is necessary to immunize against hepatitis B, rabies, Japanese encephalitis, tuberculosis and meningitis. In addition, you should immunize against malaria before visiting Sabah and Sarawak. The solar activity in Malaysia is very high. You should be very careful and avoid sun strokes and burns. Drink a large amount of liquid without sugar to avoid dehydration and for the salts to come out with sweat. Choose clothes, which match the hot, humid climate. Do not forget to wear a cap or a sun hat. This disease has never been detected in Malaysia, but upon entering this country, you will be asked to show a certificate of vaccination against yellow fever if you have recently been to South America or areas adjacent to the Sahara Desert. These insects are bothering tourists and locals during each season because of the stable high humidity throughout the year. In order not to catch a dengue fever, malaria and Japanese encephalitis (from other parasites as well), use and apply on clothes substances, which are containing DEET. It is unlikely to be taken ill of malaria in the Malacca Peninsula, in Kuala Lumpur, in Penang and other major cities. The risk of the disease begins to grow with increasing distance from the coastal plains deep into Malaysia. Preventive maintenance should be carried out before visiting Borneo: Sabah and Sarawak. Food hygiene in Malaysia is strictly observed. But it is better not to buy food from street vendors. You are allowed to drink only boiled or bottled water, or drinks, which are sold in prefabricated jars and bottles. Try not to drink water from the tap. Wash your hands often and with soap. It is necessary to have medicaments for gastrointestinal disorders, infections and antibiotics, which are familiar for you (for self-treatment of moderate illnesses). Be attentive and responsible. Do not let any illness to ruin your holidays to sunny and warm Malaysia.